If you are near Raleigh, North Carolina this weekend check out BrickMagic! LEGO Certified Professional Dan Parker will be there creating a 5 foot Death Star and everyone can help. 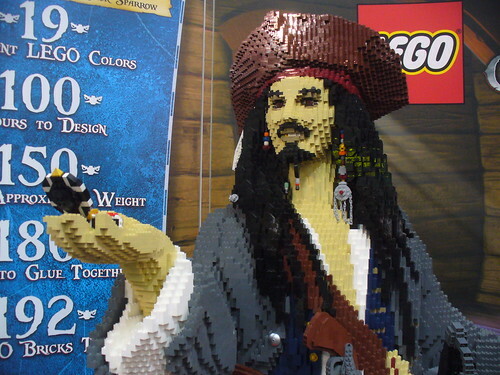 See a huge hall of custom LEGO creations by top builders from around the country! 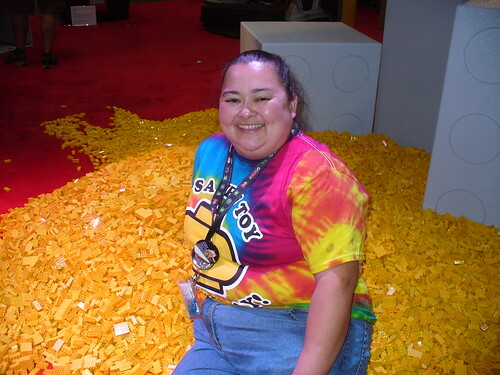 Play with over 20,000 loose LEGO bricks in our FREE BUILD ROOM (sponsored by Lay-N-Go)! 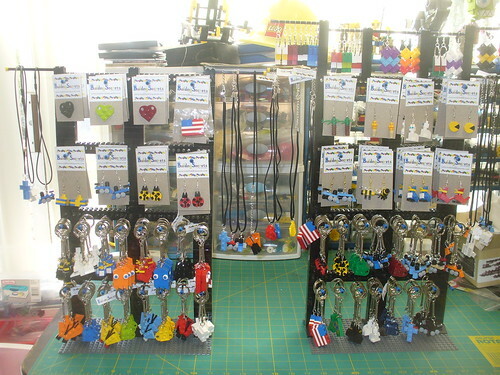 Meet professional minifigure customizer JARED K. BURKS, who will hold FREE minifig workshops! Attend workshops on building tips and techniques! Meet the team from SHATTERPOINT ENTERTAINMENT, as they demonstrate the making of animated LEGO films (which will run continuously in our Theater Room all weekend)! Watch a robotics competition by First® LEGO® League teams, and try hands-on demonstrations of MINDSTORMS robots! Shop for hard-to-find LEGO parts and sets, and purchase our special LIMITED EDITION SPACEFIGHTER EVENT KIT, available only at BrickMagic! 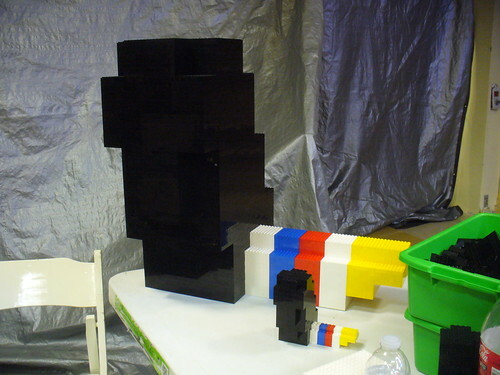 Be the first to see the TOP SECRET NEW SETS that LEGO will debut exclusively at BrickMagic 2012! Meet JOE MENO, editor of BrickJournal magazine, and author of the new books YOU CAN BUILD IT and THE CULT OF LEGO, which debut at BrickMagic 2012! Enter the SPACESHIP BUILDING CONTEST and win prizes! TICKET PRE-SALES ARE NOW CLOSED! PLEASE PURCHASE TICKETS AT THE DOOR STARTING AT 10AM, MAY 19 & 20! The Fashion Valley LEGO Store Grand Opening is this weekend in San Diego. For all of you who are locals like me I’d encourage you to come on down and participate. For those of you who don’t live in the area, I’ll be covering both the Fashion Valley and Mission Viejo store openings after this weekend is over as they have the same building event — SpongeBob Squarepants. 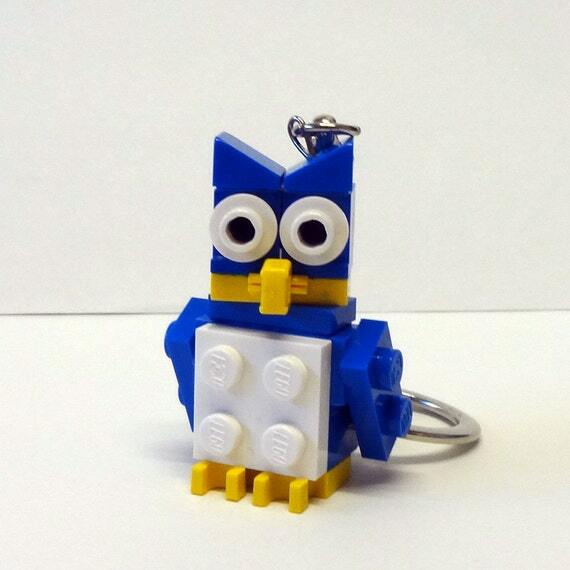 Join in the weekend-long grand opening celebrations and LEGO Master Builder Event! 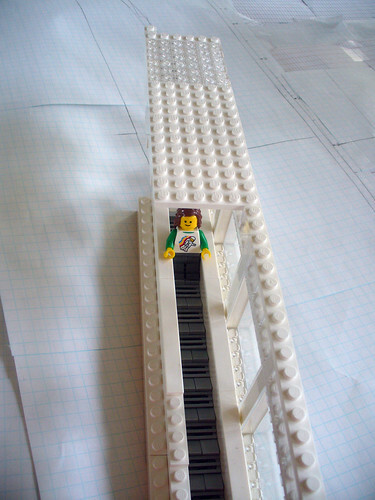 Help a LEGO Master Builder construct an 8-foot tall LEGO model and get a free certificate of achievement for participating! Plus, when you make a qualifying purchase at the new LEGO Store, you could receive an exclusive LEGO minifigure set and a collectible, limited-edition LEGO t-shirt! I built both feet in about a day. If you want to see pictures of the Mission Viejo opening before I talk about it here, you can see them on my Flickr set. Thats me!! Mariann has asked me to help write on here from time to time and I am starting with a little something I built for the mall. 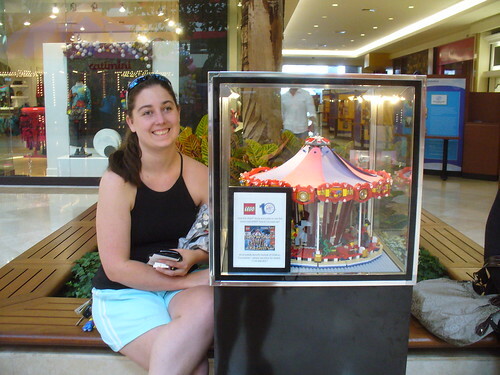 It is a carousel that looks a lot like the one at the mall. So, back to the matter at hand, Comic Con 2011. This year was one of the best I’ve had in a long time. 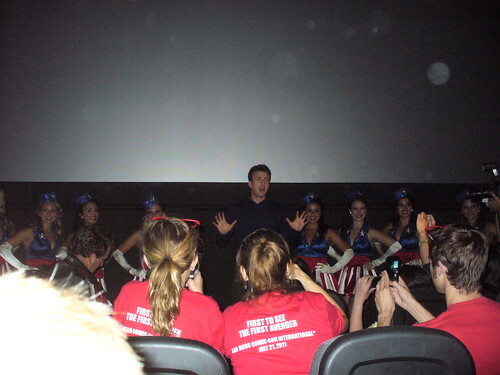 I don’t know why, maybe it was the panels I got to see, or the movies I got to watch. I’ve been going for at least 19 years, so Comic Con is not the overwhelming monster it seems to be to first or even second time attendees. 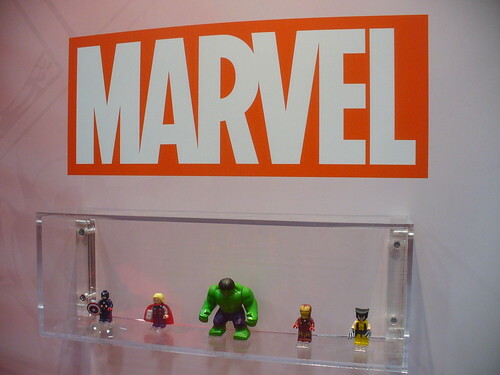 This year, as I’m sure all of you know introduced the new LEGO DC and Marvel licenses that will be out next year. 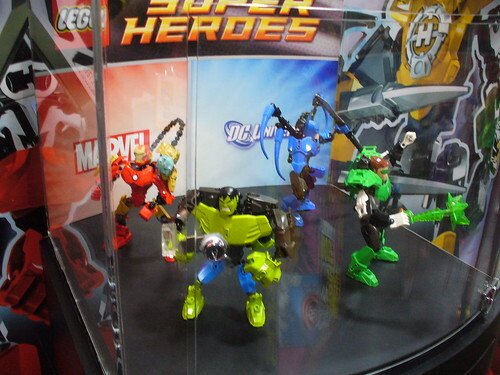 I have to admit, I’m not to big a fan of the big Hero Factory like figures, but then I don’t really care that much for Bionicle or Hero Factory either. Now don’t get me wrong, I see uses for the pieces, and I know why little (and big) boys like the figs, its just not my thing. 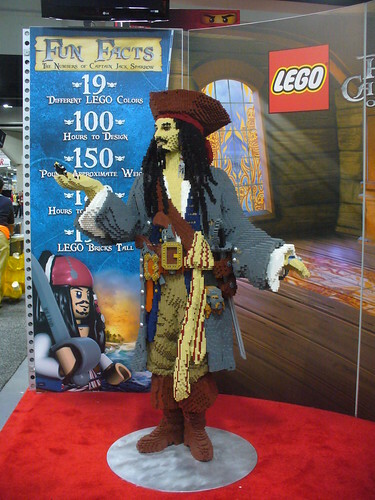 I also enjoyed finally seeing the Captain Jack Sparrow model in person. After seeing it online earlier this year it was nice to see the real thing. I was especially happy that they had fixed the hand holding the compass, as that was the only part of the model that bothered me when I saw the initial pictures. And no, I didn’t make the Star Wars sign. 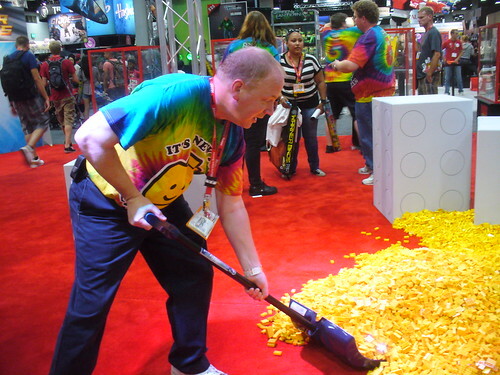 You can see LEGO Events Coordinator Mark Fontanella literally shoveled up all the bricks at the end. Now, I did not buy the LEGO exclusive this year, you can go check out FBTB’s review on that. I couldn’t justify the extra cost (it was $50), just for special packaging and a poster when the set is coming out in October. Especially when I knew I’ll be opening my Advent Calendar to do my Annual Advent Callendar Review. I did however manage to get my hands on the exclusive LEGO Batman and Greenlantern figs. And no, just because I was working the booth didn’t automatically mean that I got one. I had to stand in line like everyone else. In fact, I managed to get quite a lot of LEGO swag this year. Some of it, like the exclusive minifigs wasn’t all that easy to get. Warner Brothers had a special lanyard you had to get stamped at 3 different booths and then take it to their booth to get the swag bag. But it was worth it, the bag consisted of a LEGO Harry Potter Years 5-7 Video Game shirt (the white one in the picture), a Voldemort Minifig, a Batman Arkham City Water Bottle (not LEGO), a magnet and a bandanna (also not LEGO). The big LEGO Harry Potter bag I got when I picked up my attendee badge. 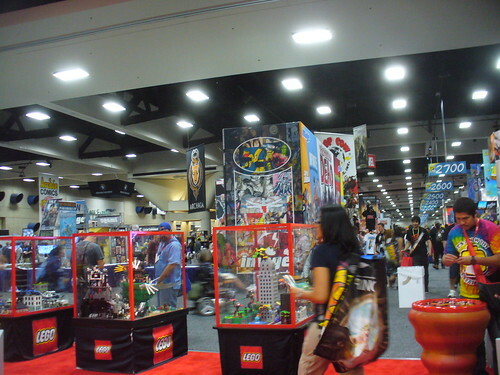 The LEGO booth was giving away LEGO Star Wars minifig posters, Heroica comic books, and Ninjago bracelets. Hallmark booth was giving away a LEGO Darth Vader poster. 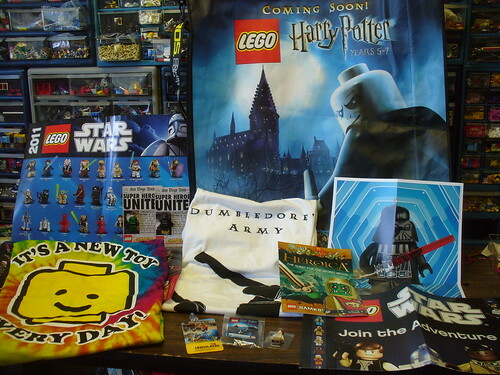 DK was giving away a LEGO Star Wars pin, LEGO Harry Potter lanyards, and a LEGO Star Wars poster. And Cartoon Network came by the LEGO booth on Saturday and handed out Ninjago pins. I also managed (it helps to have many friends at LEGO 😉 ) to get into the special sneak preview of LEGO Star Wars: Padawan Menace that was shown in the Reading Theater of the Gaslamp District of San Diego. It was shown the day before it aired on Cartoon Network. 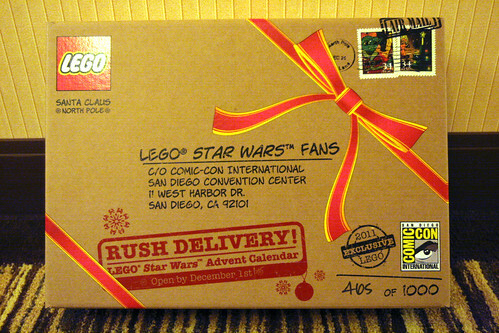 All of us who attended got a LEGO Star Wars Padawan Menace poster, a small minifig (it’s the one that comes with the DVD when it comes out in September), and a LEGOLAND California luggage tag. 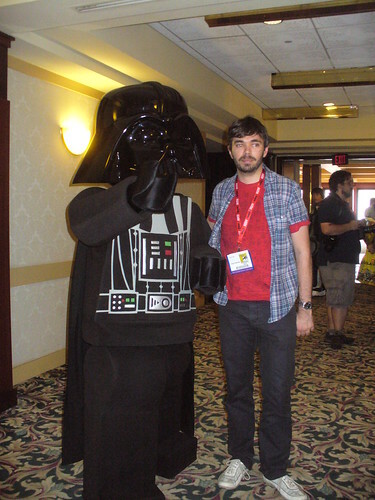 I even got to meet the director David Scott, seen here with Minifig Darth Vader. Outside of the convention they had a Conan O’Brien fan art museum. One of the pieces was a “Flaming C” created by Nathan Sawaya. 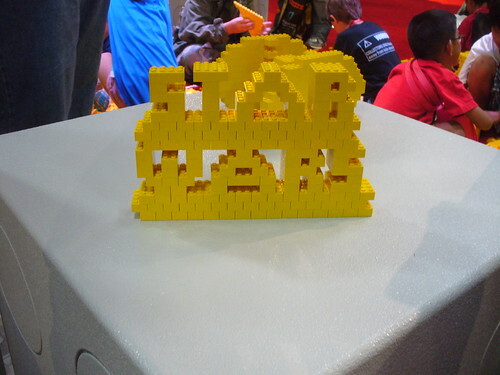 I also went to the LEGO Star Wars panel on Friday. 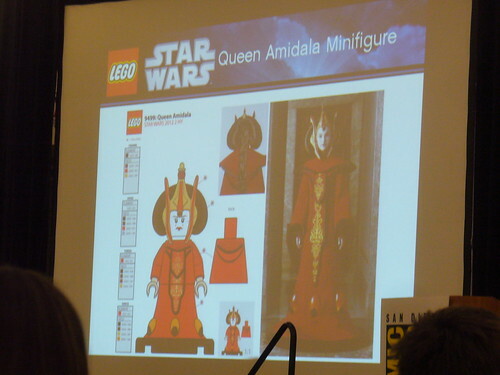 The biggest news that came out of that was that they are finally making a Queen Amidala minifigure in her red dress! 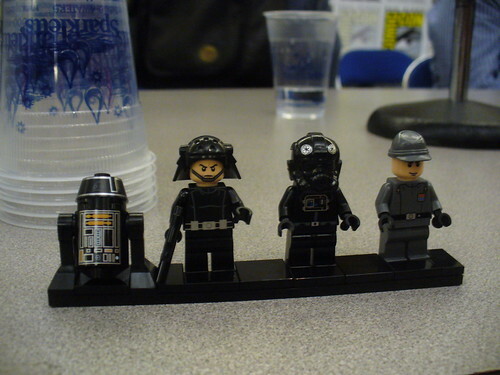 They are also re-releasing the Tie Fighter with a new design and new minifigures. My favorite is the new R4 droid. I can see that head part coming in very handy if they decide to make it in other colors down the line. 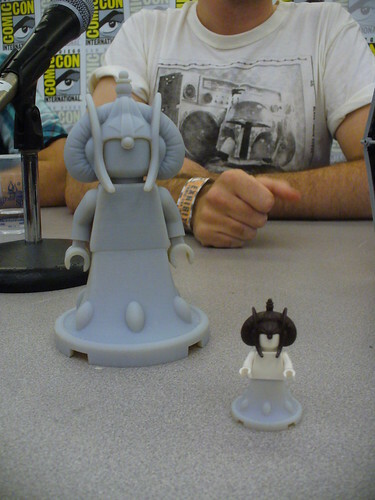 The tie fighter will be out in January 2012 and the Queen Amidala fig (no news on what set she’ll be in) in the summer 2012 line. 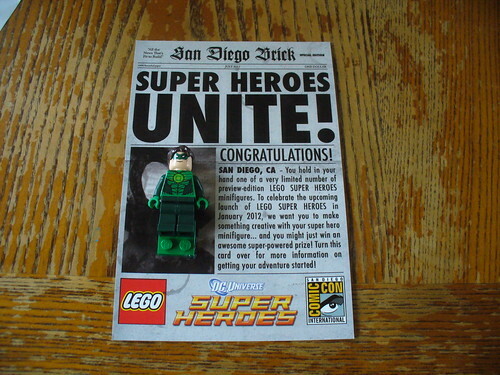 As for the cool non-LEGO Comic Con stuff I did. I got to see a preview of Captain America with actor Chris Evans introducing the movie. Check out my Flickr photostream for all my pictures. 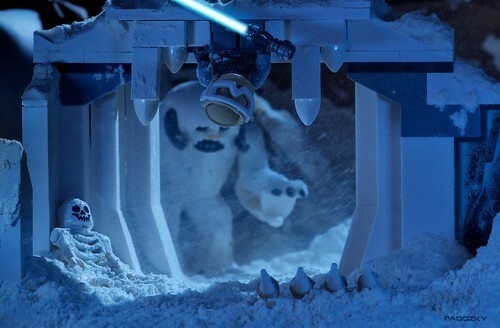 After the runaway success of their wildly popular building sets, video game collaborations and animated shorts, The LEGO Group and Lucasfilm will join forces once again for an all-new adventure — their first-ever original television special. Premiering on Cartoon Network on Friday, July 22 at 7:00 p.m. (ET, PT) in high-definition computer animation, the 30-minute original standalone special — LEGO Star Wars: The Padawan Menace — will feature the charm, action and irreverent humor that have become the signature style of LEGO Star Wars animation collaborations. LEGO Star Wars: The Padawan Menace is scheduled to air multiple times on Cartoon Network during the weekend including: Friday, July 22 at 7 p.m. (ET/PT), Saturday, July 23 at 10:30 a.m. and 5:30 p.m. (ET/PT) and Sunday, July 24 at 4:30 p.m. (ET/PT). A routine Jedi Academy field trip is turned into a rip-roaring comic adventure in LEGO Star Wars: The Padawan Menace. Tour guide Master Yoda leads a group of rambunctious Jedi younglings through Senate chambers when he senses a disturbance in the Force. Summoned to help save the Republic, he discovers that one of the younglings secretly boarded his ship…and has a taste for adventure! Meanwhile, C-3PO and R2-D2 are put in charge of the boisterous group and find themselves in over their heads. As the evil Sith prepare to wreak havoc, it’s up to Yoda and the droids to ensure that their young charges aren’t torn to bricks! I look forward to seeing all my friends and making some new ones. 😉 Internet and time permitting, I’ll do my best to cover as much of BrickWorld as I can for all of you who can’t make it. Here’s the second installment on my current WIP. As you can see by the title its an escalator. I actually based it somewhat off the one in the Grand Emporium. It seemed silly to try and come up with a different design when this one was so well designed by Senior LEGO Set Designer Jamie Berard. Master Model Builder Erik Varszegi talks about how a life-size model is built. 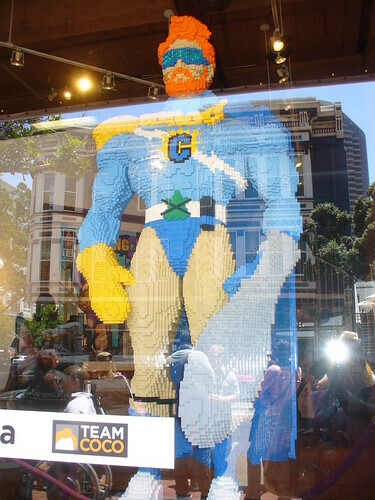 Erik has created many other life-sized sculptures during his tenure at LEGO such as Woody and Buzz from Toy Story, Capitan Rex of Star Wars: Clone Wars, and Batman. Even though Series 4 has only been out for about a month, the buzz is already spinning on Series 5. 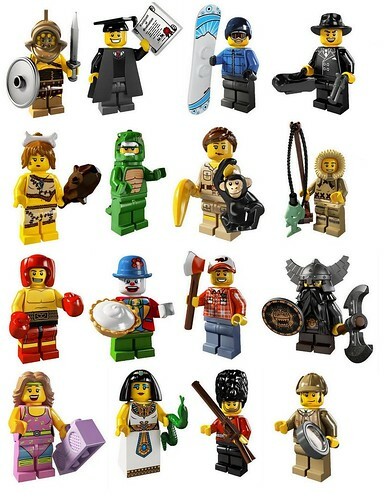 As these Collectible Minifigure Series continue to come out I am both excited and frustrated with some of the choices. Most of the figures are innovative. I love the new elements, hair styles, and printed outfits. But at the same time I wonder why they continue to come out with multiples of the similar figures — i.e. the skater, surfer, etc. I also wonder why they are making yet a third “fisherman” in a row. Its great and all that they designed a new fishing pole and getting a sand green fish is fun, heck I even like the Eskimo fig, but is a third fishing figure what we need? It seems with each Collectible Series there are the “crash test dummys” and there are the “Spartans.” What I mean by this is that there are figures that some people don’t really even want and then there are the figures that people want several or even hundreds of — and yes, some one actually got 300+ Spartans. Series 1 was the worst because LEGO didn’t know how popular the Collectible Minifigures would be. They didn’t make enough. Now at least, although there are no barcodes, LEGO does produce enough so that you can at least find multiples pretty easily without paying the exorbitant prices on Bricklink. But sometimes I, and I’m sure many, would just like to get the figures I want and not have to try and figure out what is in the bag. The ironic thing is that I can actually tell. I’m very good at feeling through the bag and knowing with a 99.99% accuracy what figure is there. 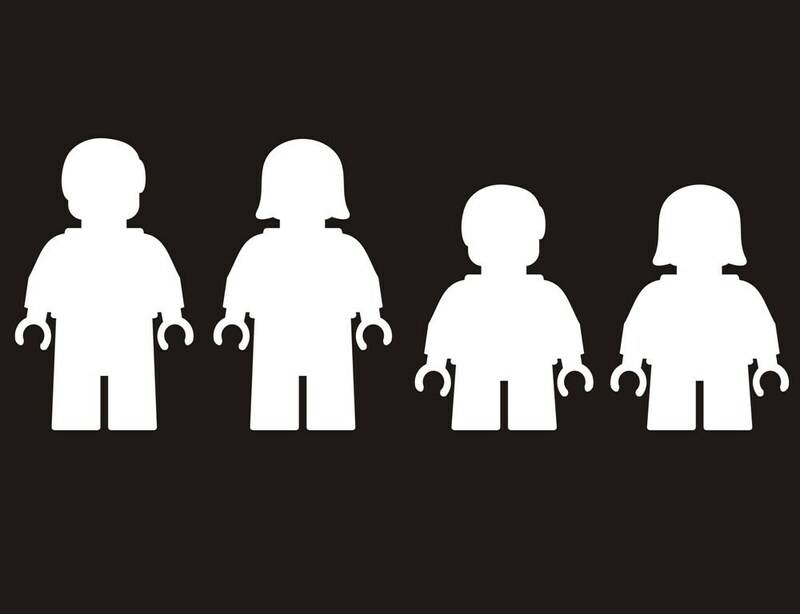 In fact, I’ve helped many frustrated parents and LEGO fans find the figures they want. On a supply standpoint I understand why LEGO wouldn’t want to just sell the figures so you could tell what they are. They’d have to have 16 different packages for one thing instead of just one per Series. 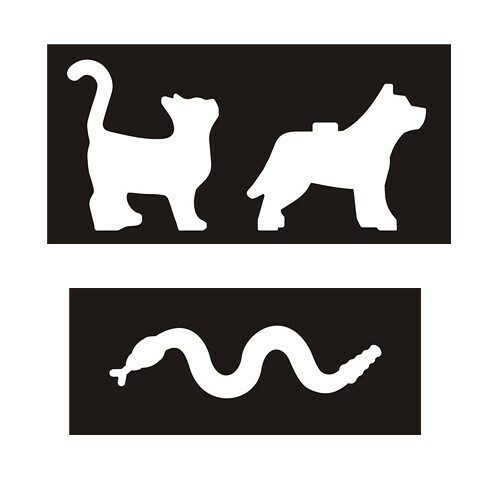 But, if they actually did sell the figures where you could tell what they are, like Playmobil does, LEGO would know with much more accuracy what figures are more popular — a good indicator on what possible future themes LEGO could produce.